Decorating a small space can make you feel limited not only functionally, but aesthetically, as well. However, small spaces offer some of the best opportunities to stretch your creativity and create something unique. Some of the best design ideas happen in small spaces. One small space I see a lot of is a small bathroom. 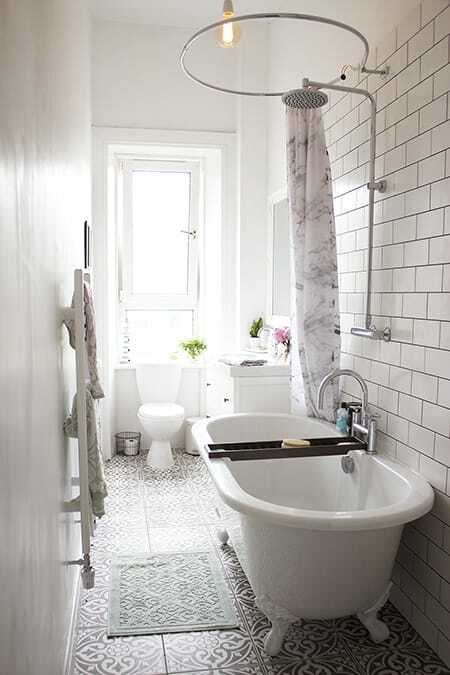 Whether it’s a powder bath or your main bath, a small bathroom can seem like a lost cause due to its lack of storage and perceived design limitations. However, there are a lot of cool things you can do in this space. From clever storage solutions to bold, dramatic design, it is not short on possibilities. 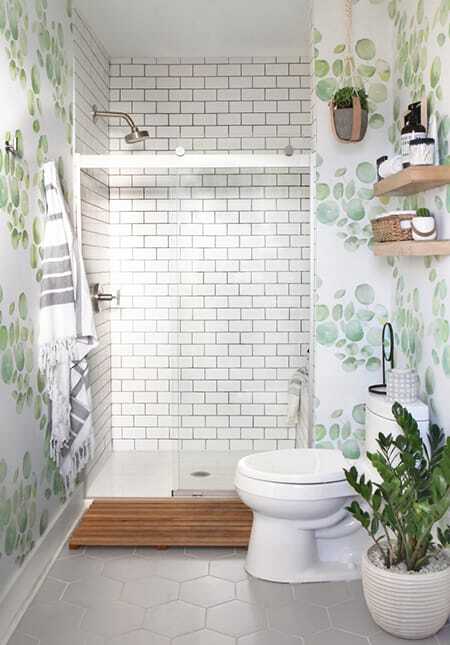 Here are 10 small bathroom ideas to inspire you and show you just how much fun this space can be to decorate. 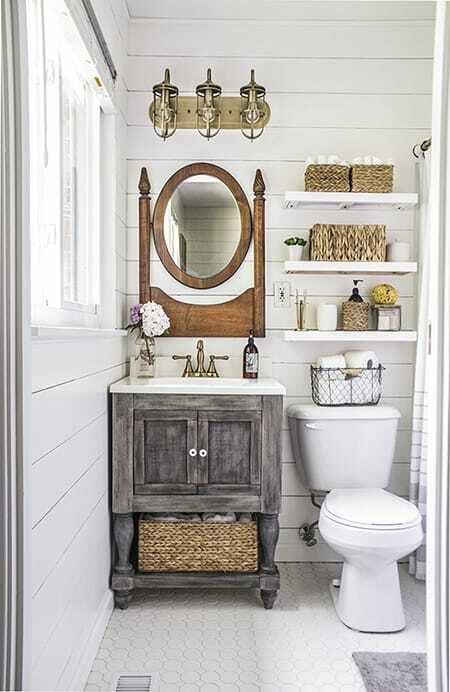 Floating shelves and baskets provide attractive storage space for this small but charming bathroom. 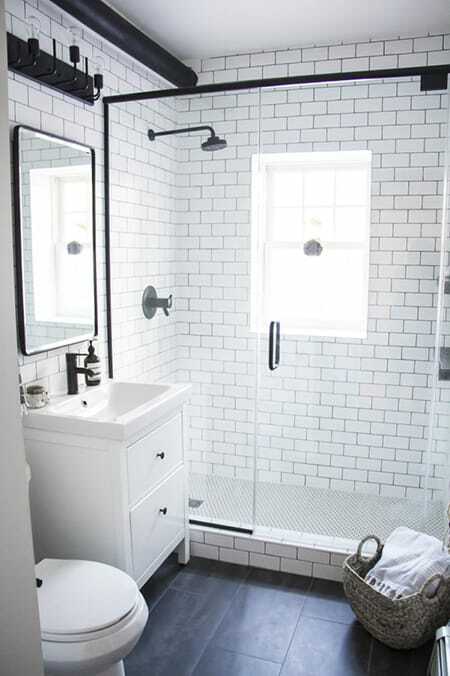 Continuing the subway tile throughout the whole bathroom unifies the space. A little basket full of towels is not only charming but functional. 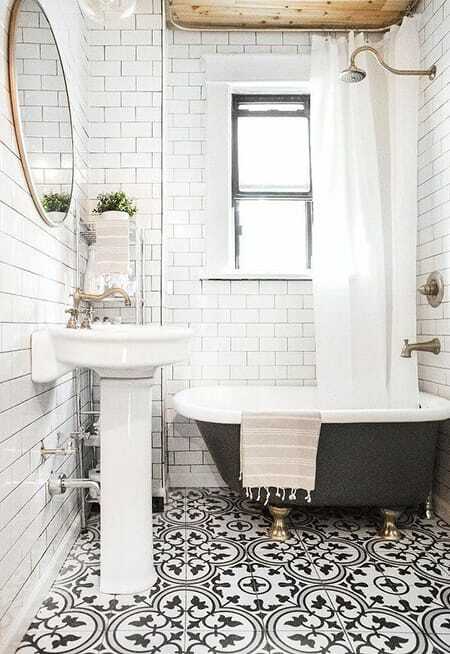 Because the space is small, the eye-catching tile on the floor is bold without being overwhelming. How adorable are the mini clawfoot tub and pedestal sink? The wood on the ceiling over the tub is a nice touch to bring some warmth to the space. 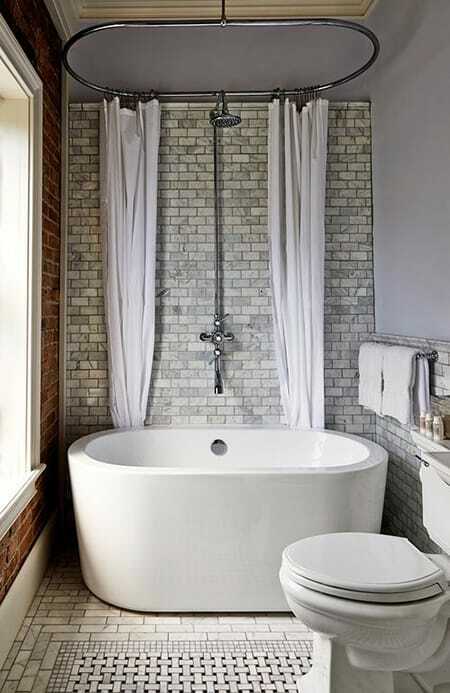 A vintage-style clawfoot tub and shower head make the most of the narrow space and fill it with character. 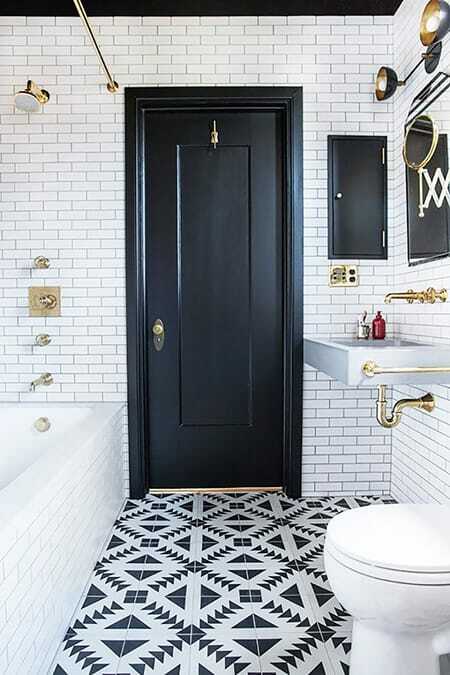 The black door is a dramatic touch that looks fantastic in this bathroom. The gold accents provide a bit of glamour, too. Various texture blend together nicely in this space to give it visual interest, while the white grounds it. 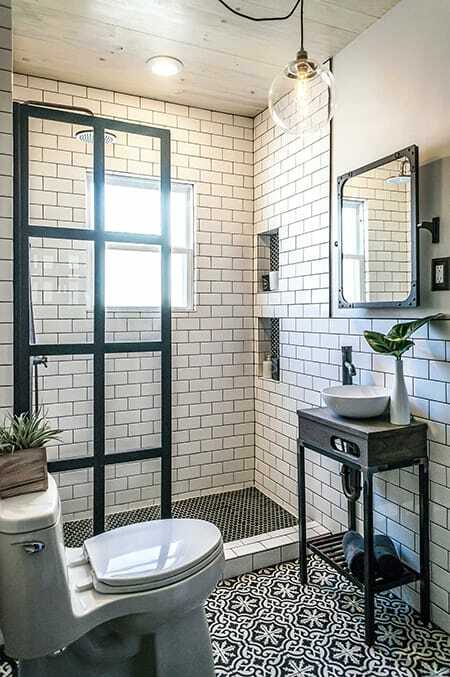 The strip of black subway tile and pops of yellow are small but full of personality. 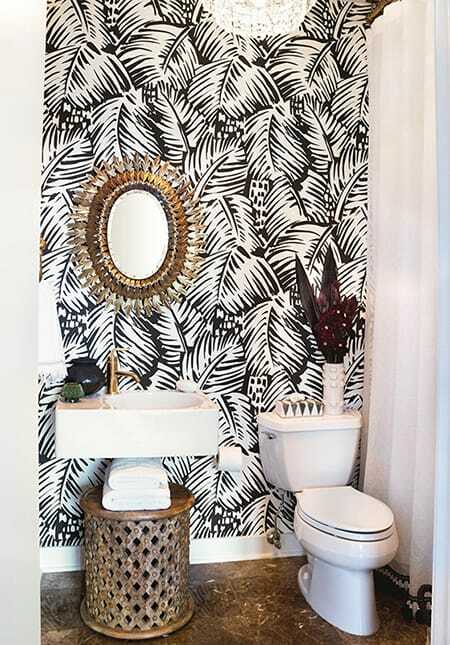 A bold wallpaper is a perfect way to give a bathroom a lot of “wow” factor. The greenery and bamboo in this space create a spa-like appeal.